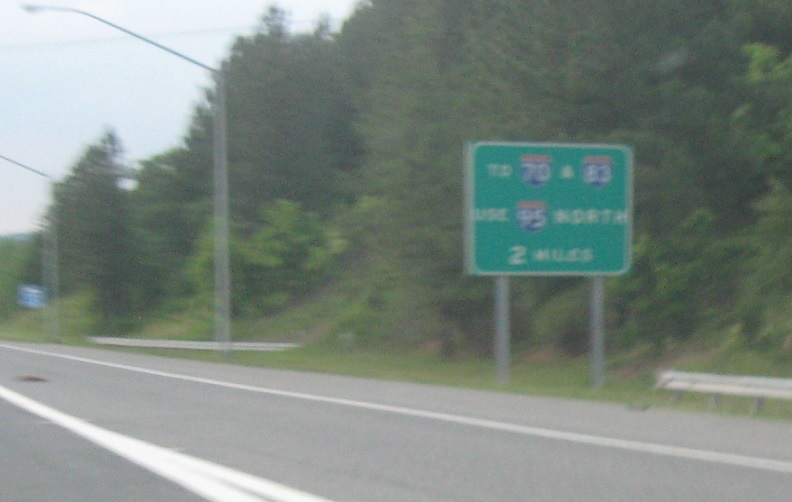 In two miles, follow I-95 north for Interstates 70 and 83. 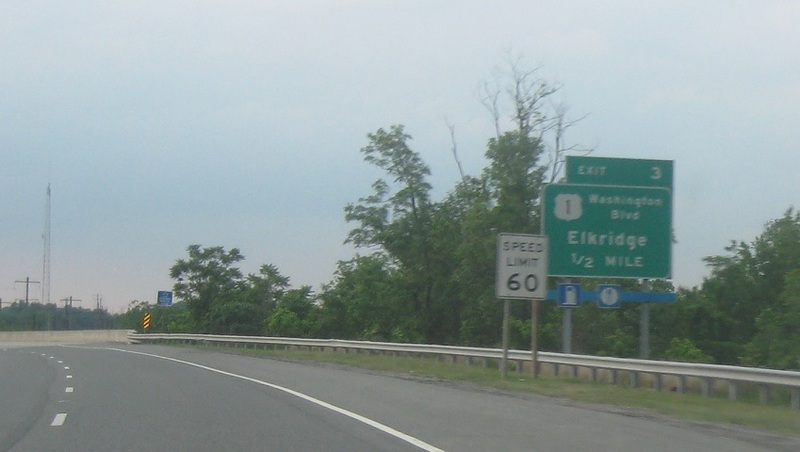 Reassurance shield after the MD 295 interchange. In a half mile, we’ll have crossed the Patapsco River and will approach US 1. 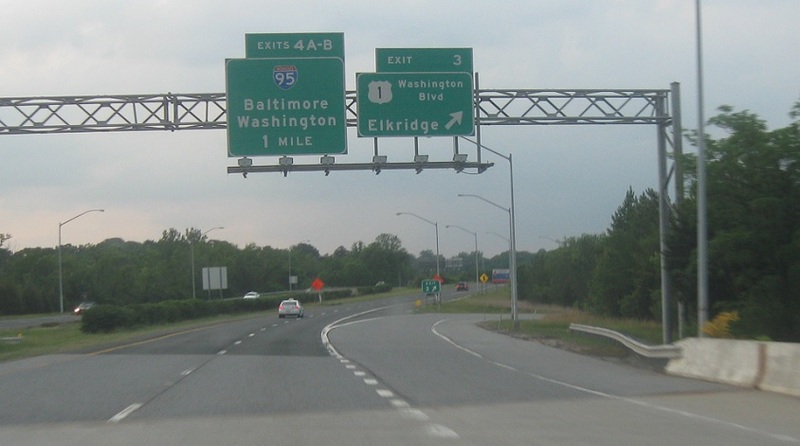 Exit for US 1. 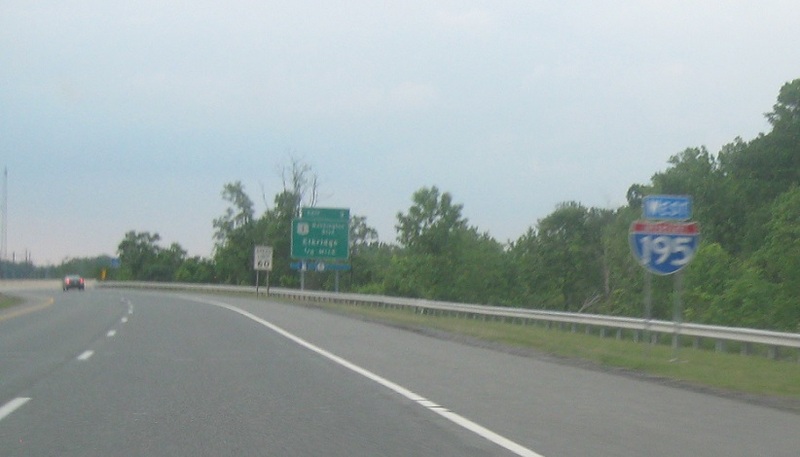 We’re a mile from I-95.